Spring cleaning isn’t the only time to tackle house cleaning on a grand scale. Take advantage of summertime to deep clean all surfaces, sinks, and drawers, to organize the pantry, and to clean inside those corners and closets that are usually forgotten. It can feel overwhelming, and of course, you don’t want to forget anything! We’ve compiled the one checklist you need for cleaning your entire house. Remove and clean window coverings and blinds. Dust lighting fixtures and fan blades. Wipe doors, sills, knobs, pulls, and other hardwares, and light switches. Launder any throws, pillows, and cushions, according to the manufacturer’s instruction. Dust, polish, and/or vacuum furniture. Shake floor mats and sweep, vacuum, and/or mop floors. Wipe down baseboards, crown moulding, and vent openings and covers. Dust all shelving, knick-knacks, picture frames, lamp shades, and electronics. Clean any windows and glass panes, inside and out, and all mirrors. Sort contents of closets, drawers, etc. and discard anything you no longer use or want. Wipe all cabinet fronts, boxes, and drawer fronts. Clean the microwave and toaster oven inside and out. Clean out the fridge, discarding expired food and wiping down each shelf and drawer. Clean all appliances to the extent possible, including descaling the inside of the dishwasher, running a self-cleaning cycle on the oven, etc. 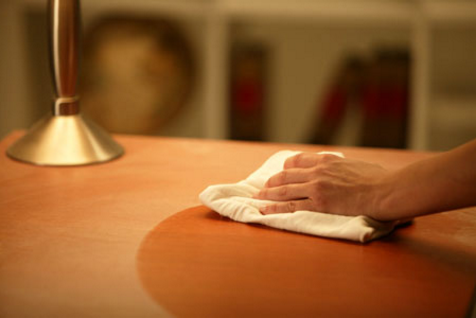 Clean all surfaces, including the countertops, island, stove top, etc. Launder and replace the linens on each bed. Clean under each bed, and sort the contents you find. Clean the tub and/or shower. Clean all surfaces, including the countertops and around the vanity. Check the grout lines around the sink, in the shower, etc., and reseal any lines that need it. Wipe and polish the table and chairs. Clean the pads or cushions on the chairs. Polish the silver and assess any fine china and serve ware. Vacuum all upholstered furniture and window treatments. Sort all books, magazines, DVDs, etc. Wash any children’s toys to the extent possible, such as with warm, soapy water. For most of the part, you can always call your local tile cleaning experts for further inquiry.